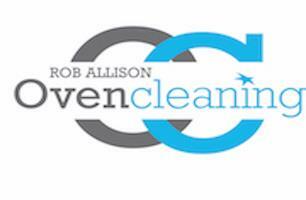 Rob Allison Oven Cleaning - Cleaning Services based in Selsey, West Sussex. We are your local and independent family business established in 2011 in Selsey and we are proud to offer professional oven cleaning services in most of West Sussex and parts of Hampshire including (but not limited to) Chichester, The Witterings, Bognor Regis, Arundel, Littlehampton, Havant, Midhurst, Emsworth and surrounding areas. We use environmentally friendly, fume-free and non-caustic cleaning system that is safe for you and your family. We remove the stubborn grease, fat and burnt on carbon deposits from a range of your kitchen appliances including ovens, range cookers, Agas and Aga style heating systems, grills, hobs, extractors, microwaves and BBQs which can be used again immediately after we have finished. We carry spare bulbs, repair kits for certain oven seals and cloth extractor fan filters which we can supply upon request. Get in touch today for your free, no obligation quote. For more feedback and examples of our work check and like our Facebook page - Rob Allison Oven Cleaning.